Learning how to do a running stitch is, I think, the easiest place to start learning how to embroider. When I think of a running stitch, I always think of that scene in Cinderella where the mice are sewing the dress with the giant needle. Anyone else know what I’m talking about? Something random that stands out from my childhood, I guess. Anyway, I love the running stitch for the classic “handmade” touch that it adds to any project. It can be a practical way to stitch two pieces of fabric together, appliqué a design, or just add a little embellishment to your work. 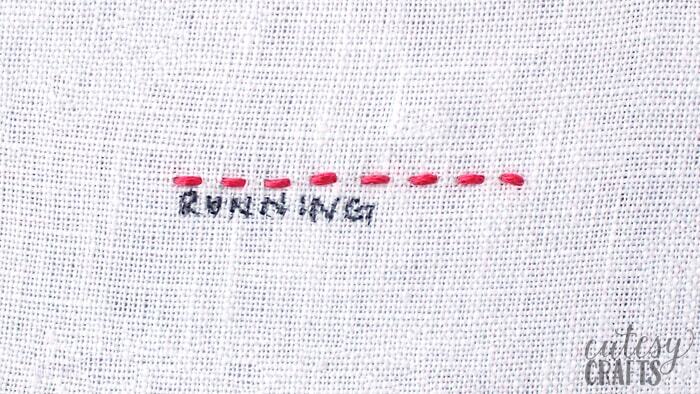 Learning how to do a running stitch is very simple. 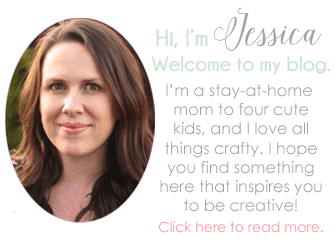 Just bring your needle up through the back, stitch down, and then back up and down again. 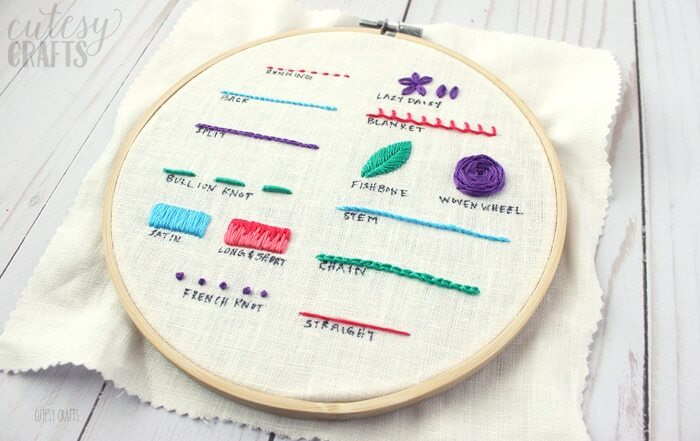 Try to keep the length between your stitches about the same length as the space between them. If you notice you are coming to the end of your line, you can gradually make your stitches smaller or closer together to compensate for the space. I know that’s hard to understand with just a photo, so I made a video that explains it all. Watch it on my YouTube channel or just press the play button below.